Hello! It’s Megan from Homemade Ginger and I’m so excited to share another spring craft today! I’m so glad that spring is finally here, aren’t you? Do your kids have spring fever right now? I think all of us around here have a bad case of it! Even though the calendar might say it’s spring, the weather hasn’t quite gotten the message yet. We will get spoiled with one or two nice days, followed by a few freezing days. My kids are at the point where they will play outside no matter how cold it is because they need fresh air after a long winter! But the promise of nicer weather is just around the corner, hopefully! 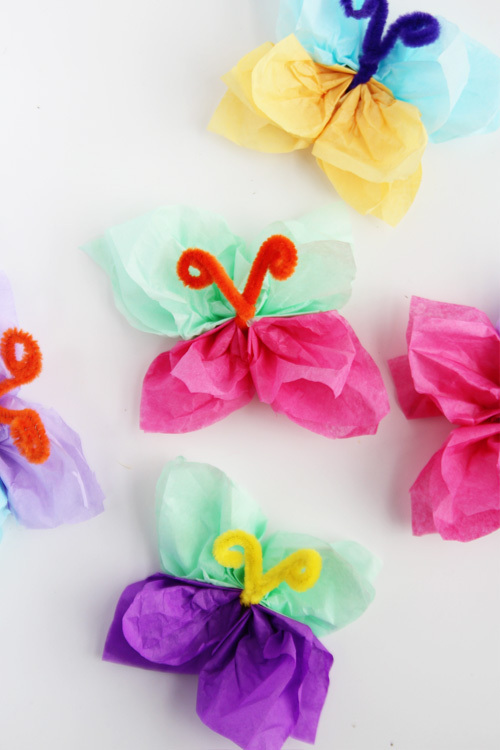 These tissue paper butterflies are the perfect craft to make your home feel a little more like spring. 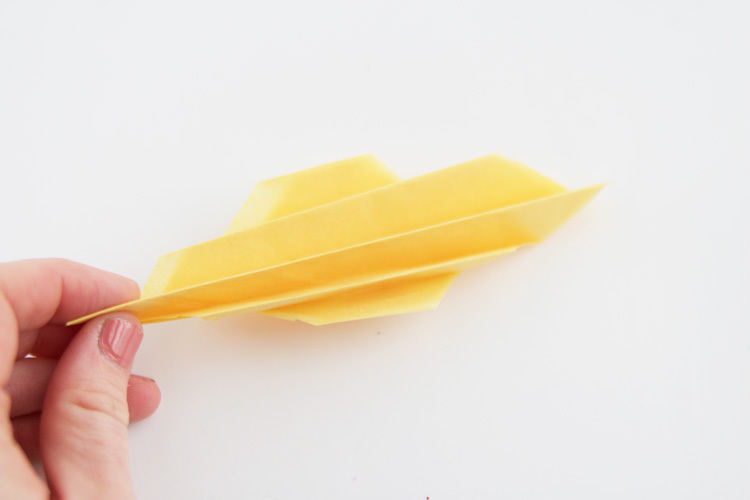 They are so easy to make, only require a couple of materials and they are too cute! 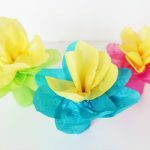 How adorable would these be for a spring birthday party or even a Mother’s Day celebration? 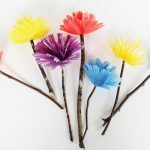 Kids of all ages can help make this simple spring craft and they can be used in so many different ways. 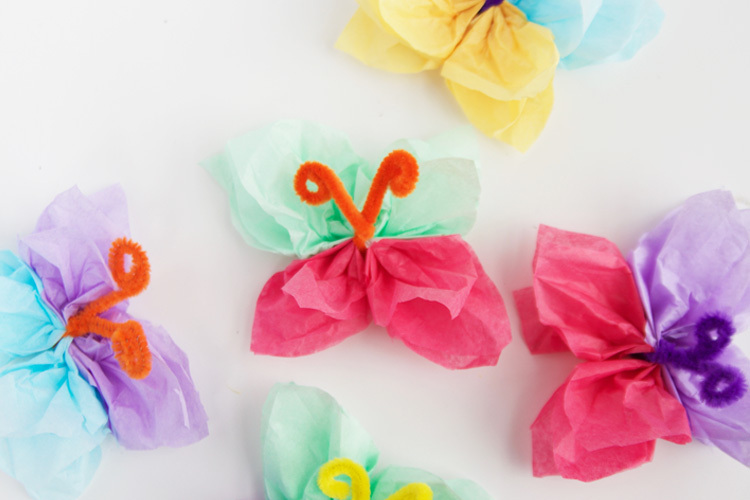 You could tie these butterflies on a piece of yarn or string to make the sweetest spring garland you’ve ever seen! Customize the colors to fit party decor or just make them crazy and colorful! 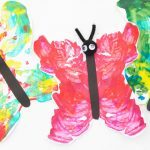 I loved these butterflies but I wanted to try a version using tissue paper and I loved how these turned out! 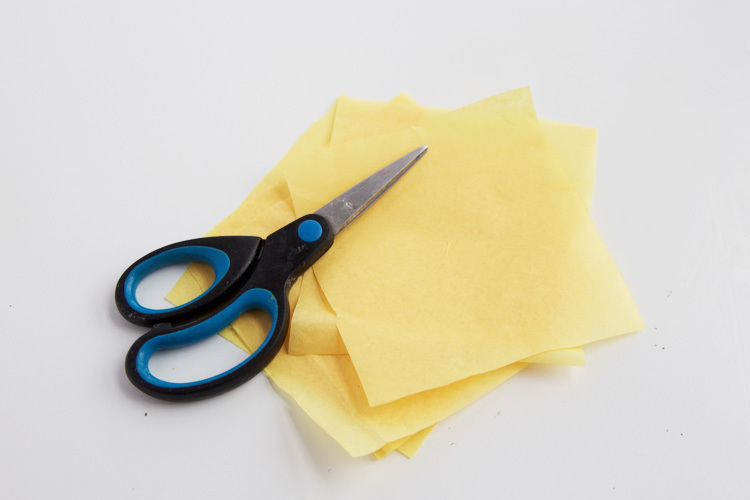 First, you will need to cut your tissue paper into squares. You can make your squares any size depending on what size of butterflies you would like to make. I made my squares about 3X3 inches. Stack 3 squares on top of each other and fold them diagonally in an accordian. Now place 2 accordian stacks on top of each other and pinch them in the middle. 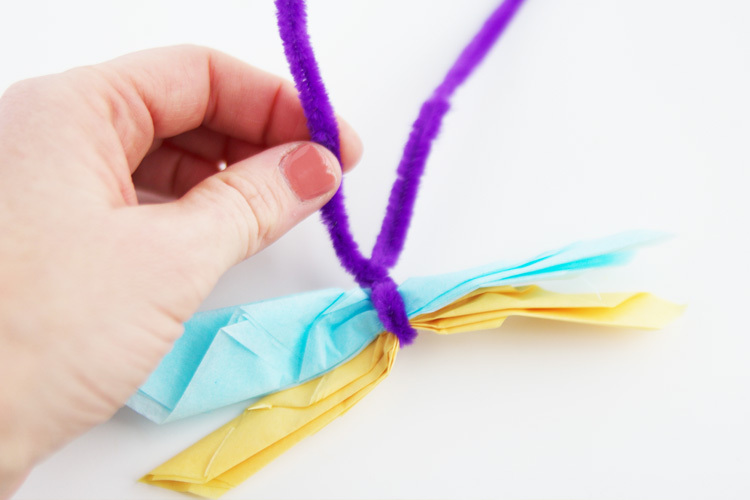 Take a pipe cleaner and twist it around the center of the tissue paper. 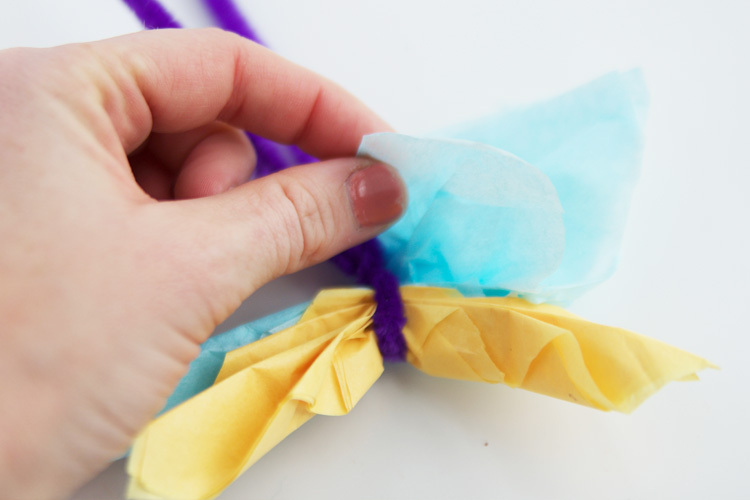 Fan out the tissue paper and carefully separate each layer, making the butterfly wings full. 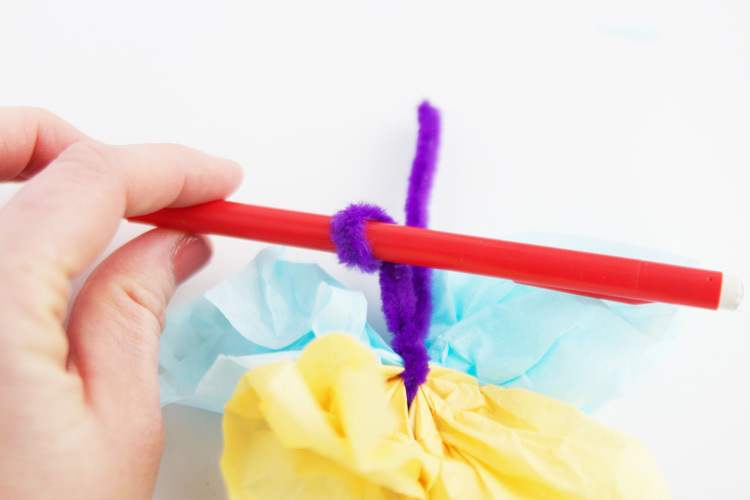 Lastly, trim off some of the pipe cleaners and wrap the ends around a pencil to get a circle or spiral shape. These will form the cute little antennea that every butterfly needs! These butterflies are so fun! It’s so easy to make a bunch of these and use them everywhere. They would be adorable taped onto a large window or sliding glass door for spring! 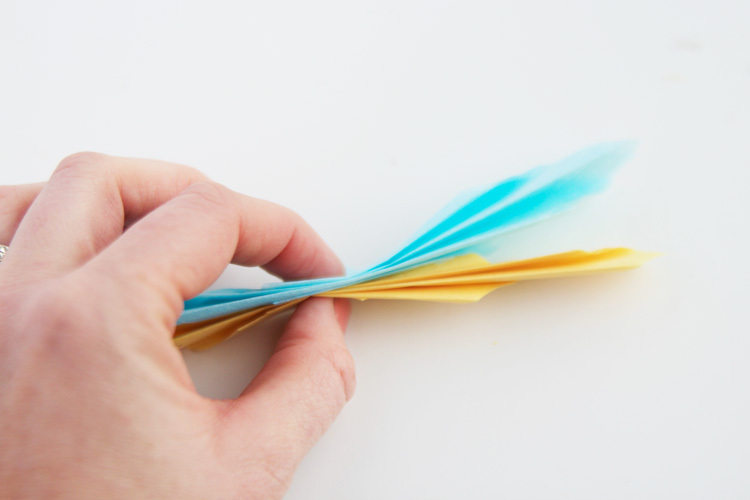 Cut your tissue paper into squares. 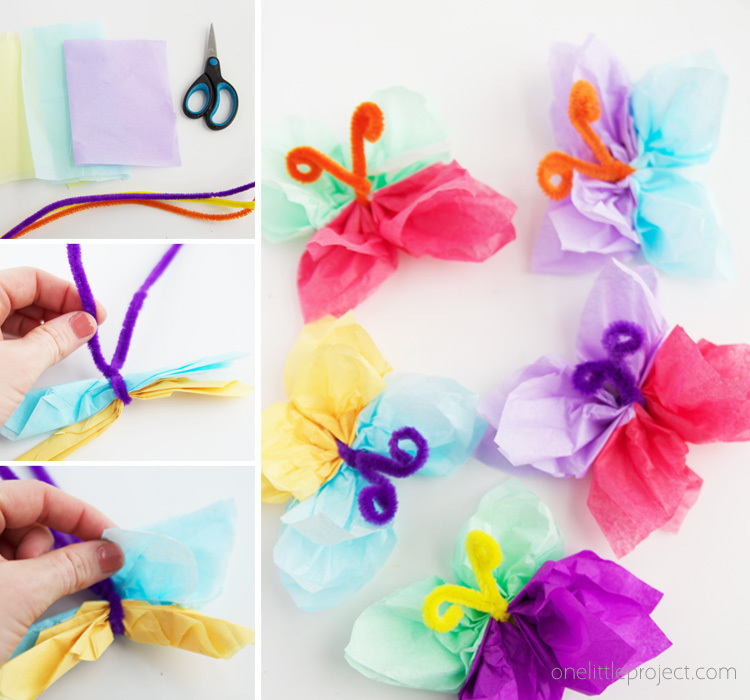 Make them any size, depending on how large or small you want to make the butterflies. Put 2 folded stacks on top of each other and pinch them in the center. 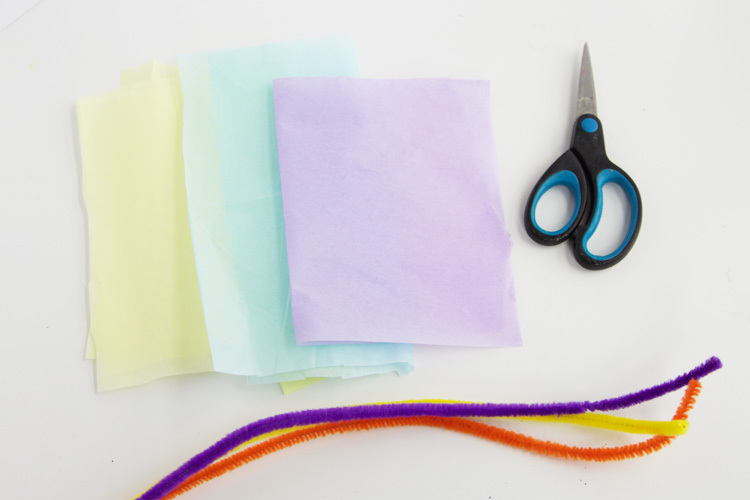 Twist a pipe cleaner around the tissue paper. Carefully separate each layer of tissue paper to make the butterfly wings full. 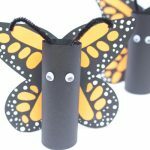 These adorable butterflies only require a couple of materials and would be the perfect spring decor for almost any occasion!